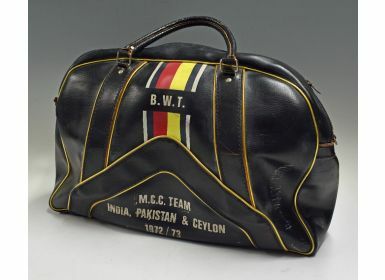 1972/73 England MCC Tour to India, Pakistan & Ceylon Cricket Tour Bag in black with MCC colours, initialled B.W.T, Slazenger, marks present o/w in A/G condition overall. 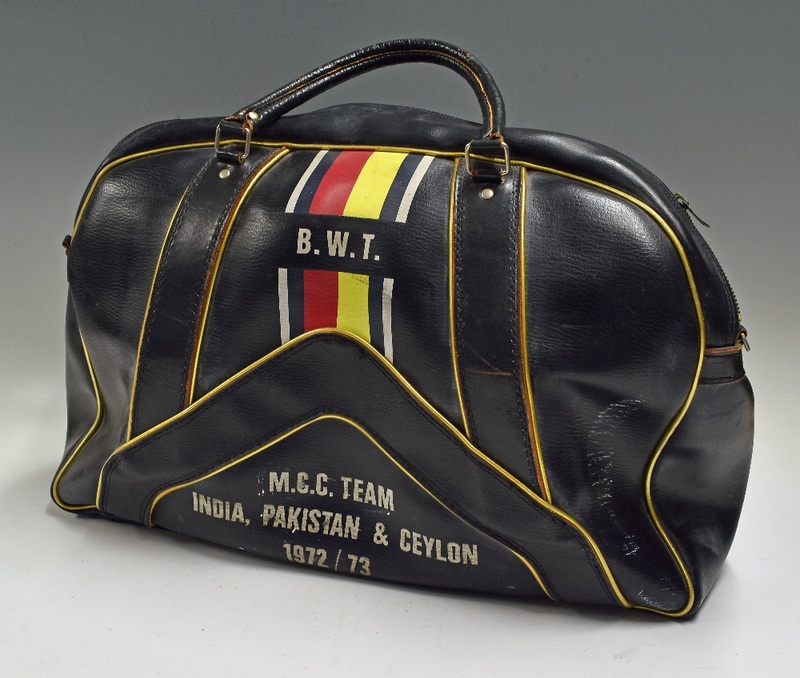 From the personal collection of Bernard Thomas, who was the physiotherapist for the England team between 1970 and 1985. Light fading to the colour.